Too small from the start? 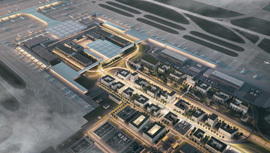 We show that Berlin Brandenburg Airport will certainly be up to the demands on it. With the Masterplan 2040, we presented a roadmap for the long-term expansion of BER, ensuring the airport will be able to tackle the forecast increase in passenger numbers at all times. Instead of the planned 22 million, up to 55 million passengers will be able to take off or land at BER in the year 2040. 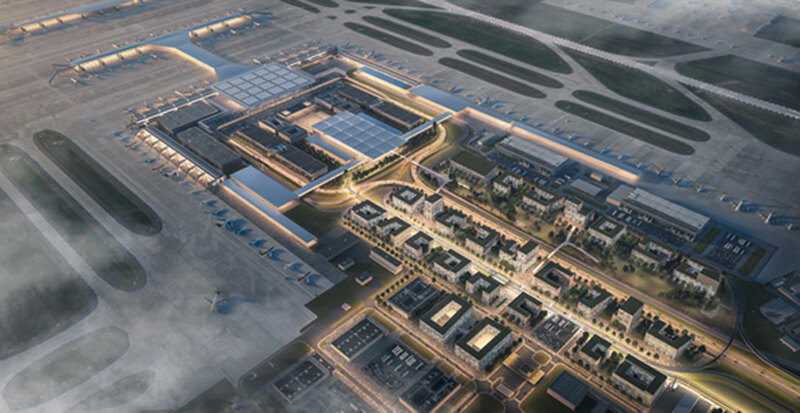 Together with our partners ASTOC, working on the urban development aspects, and ARGUS, a specialist in traffic planning, we developed a holistic concept for expanding the German capital’s airport in five phases. Completed within a year, the focus was on development of the terminals, an airport city and intelligent continued use of the old Schönefeld Airport. Our work has rarely been so widely scrutinised by politicians and the public. So we’re all the more pleased to contribute to the success of our region’s most important transport project, on behalf of Flughafengesellschaft Berlin Brandenburg (FBB).